fun - excitement wrapped in southern charm... welcome to the Hampton Inn - Suites Shreveport/Bossier City North LA. 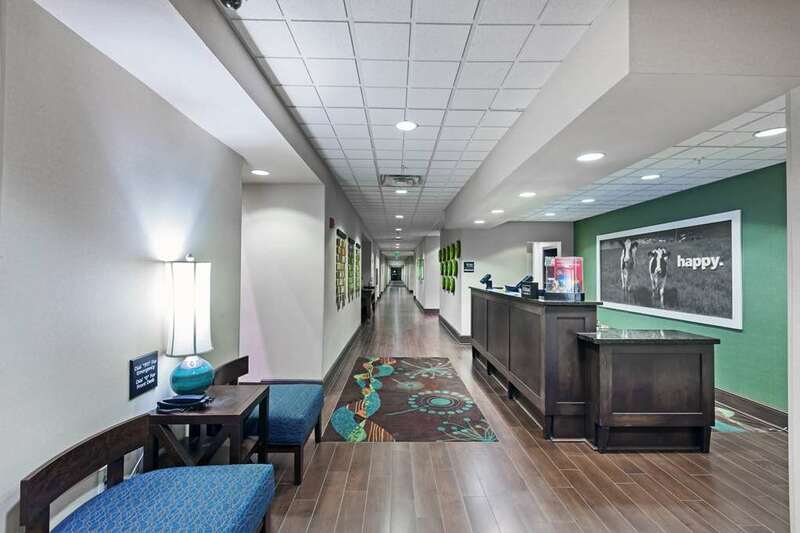 Nestled along the east bank of the Red River the area that surrounds the Hampton Inn - Suites Shreveport hotel in Bossier City will wrap you in its unique Southern Charm as you discover all of the excitement and culture. Our Bossier City hotel is mere minutes away from Barksdale Air Force Base the Convention Center the 14-thousand-seat CenturyLink Center Independence Stadium /home of the most celebrated bowl game in Northern Louisiana The AdvoCare V100 Independence Bowl/ great restaurants not to mention the Louisiana Boardwalk and the exciting Casino District which features five riverboat casino gambling resorts and Harrah*s Louisiana Downs Horse Racing Track and Casino. If shopping is on the agenda The Louisiana Boardwalk on the Red River in Bossier City is the largest combination shopping dining and entertainment development in Louisiana. Ever since its opening in 2005 the Louisiana Boardwalk has been attracting tourists and resident shoppers with its 70 retail outlet stores riverfront cafes and restaurants and an entertainment area containing a 14-screen Regal Cinema digital projection movie theatre an Island Fun arcade and a Tenpinz bowling alley.The Louisiana Boardwalk is close to our Bossier City LA hotel as is a 106 000 square-foot Bass Pro Shops Outdoor World. Book your stay at our Shreveport-Bossier City hotel and discover fun and excitement wrapped in Southern charm.